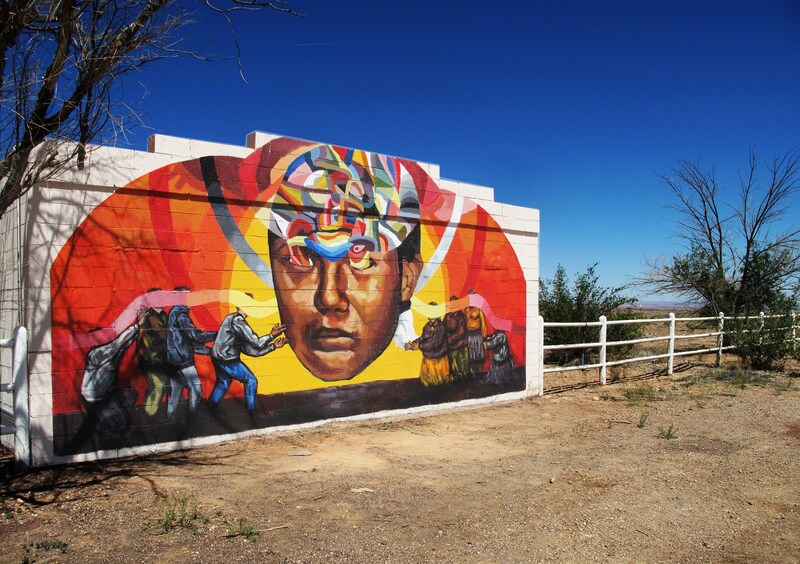 The Painted Desert Project hates stereotypes, respects the unique culture in which it operates and spreads love. It’s important to me that artists come to the project without preconceived ideas of what they’re going to paint. It’s important that they have enough time to interact with community members and spend time in this land of enormous skies and stunning landscapes then create work that reflects this interplay of cultures and landscape. In this way, the art is responsive to the moment like jazz. My hope is that the artist leaves enlightened and that the community feels enriched or vice versa.